We have been taking care of everyone as eel for a while. 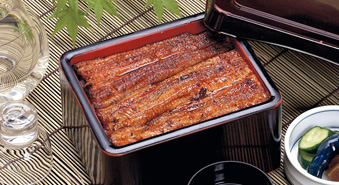 We are patronized as a restaurant for eel and kaiseki cuisine. I am trying to improve the taste, atmosphere, service with the spirit of departure point without forgetting the original intention. Boil the eels of our choice moderately and steam it carefully, attach it to the mouthfeel of the secret blended with the moisture of the fat, we are examining each piece and cooking it. We look forward to having you enjoy the taste of the long-established store who was born and raised in Sendai. The taste of old-fashioned carrots, baked as well. We eat the eel as much as possible, steam it thoroughly and steam it carefully, cooked one by one carefully examining the secret of the secret blended with the moisture of the fat. Please enjoy the taste of the long-established store who was born and raised in Sendai.